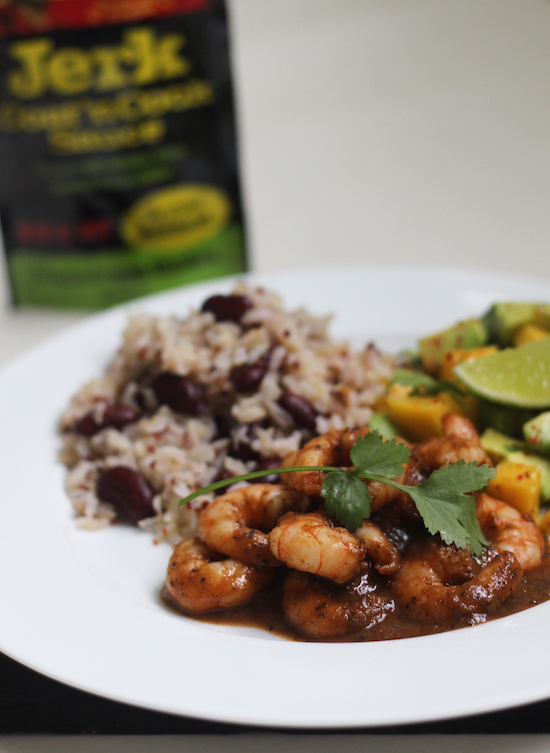 Emily's Recipes and Reviews | UK Food Blog | Leicestershire : jerk king prawns with rice and peas. jerk king prawns with rice and peas. This month I've collaborated with Degustabox to create an inspiring recipe using the products inside. Delving in April's Degustabox, I came across the likes of Green Lady Sparkling Tea, Pimms Cider and mouthwatering sea salt, garlic & rosemary Popchips. These were all perfect for a weekend picnic in the recent sun. For this king prawn recipe though, I've taken the latest Levi Roots Jerk Cook 'n' Coat Instant Marinade along with Veetee's Wholegrain and Quinoa Rice. This Caribbean inspired recipe takes just moments to rustle up, leaving you with a vibrant and spicy seafood dish to enjoy on sunny evenings. For the marinade, you simply pour over whilst you cook the king prawns. And the rice is microwavable or easy just to warm up on the hob too as you add in the kidney beans. I served alongside a fresh and zesty mango, lime, avocado and coriander salsa. Bright, healthy, colourful and it goes towards three of your five a day. But most of all, mouthwatering! Step one. Firstly make the salsa by combining the mango, avocado, coriander, lime juice, chilli flakes. Adjust to taste. Step two. Cook together your king prawns with the jerk sauce for around five minutes, until heated through. Step three. Meanwhile gently heat the rice with a dash of water in a small saucepan. Stir through the kidney beans until piping hot. Serve together immediately! Oh and if you're hungry for dessert, remember there are sweet treats in Degustabox too. Smarties and Milky Way anyone? Have you tried Degustabox? Or any of the new Levi Roots or Veetee flavours? That looks like a really easy dinner, Levi Roots has done well hasn't he?! Looks delicious! 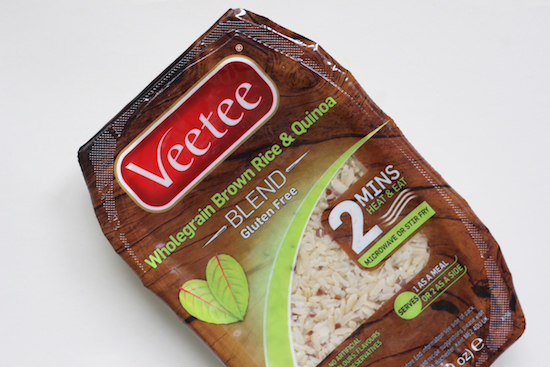 Especially with that avocado mango salad on the side *drools* Need to get my hands on some of these brown rice & quinoa packs! number thirty eight, clifton, bristol. easy lemon and rose petal cupcakes: #icakeyou. mexican style bean ball tacos.